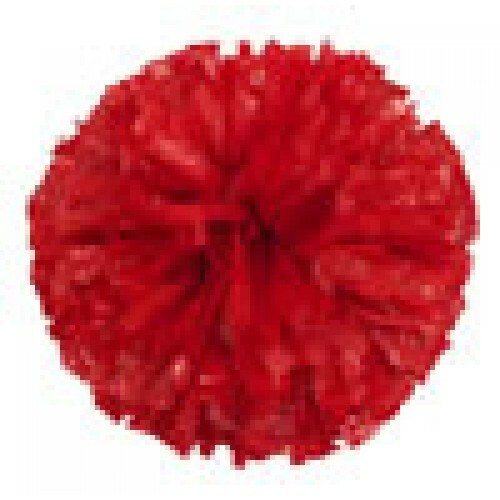 Guaranteed lowest prices on pom pons (pom poms). 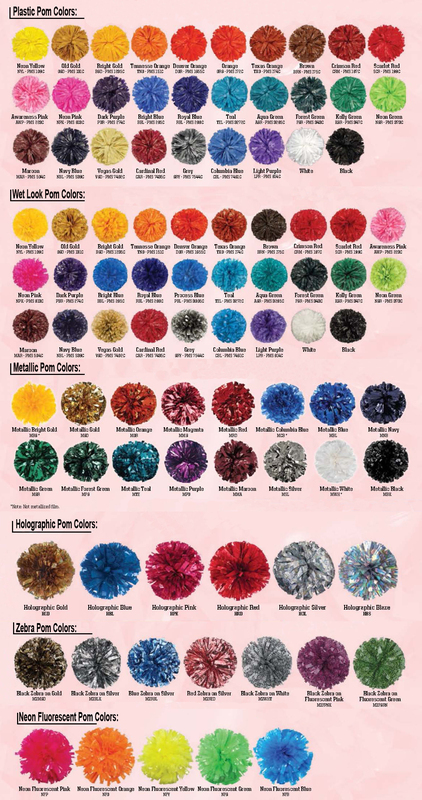 Pom Pons in stock that can ship today. 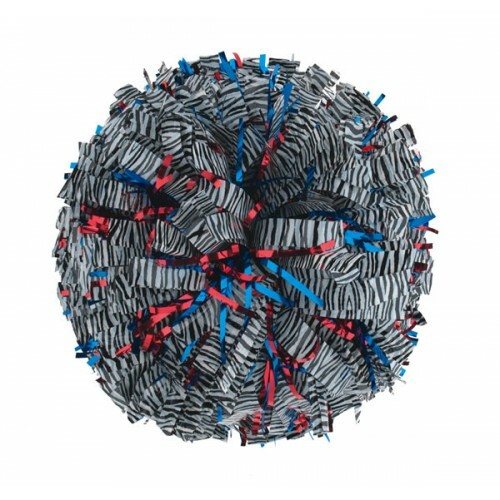 Any kind of custom pom pom you want can be produced in as little as 3 days. Cheerleaders are usually identified by their bright, colorful uniforms and pom pons. So it is very important for cheerleaders to have the best of the best for their poms to use while performing as they are often used as visual props. 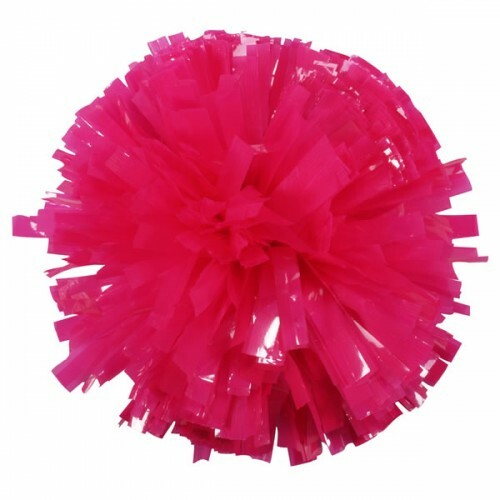 When someone mentions the words “pom poms”, it’s only natural to picture a puffy, flashy, plastic ball of colors that cheerleaders hold during routines. Poms are often used in pairs (one in each hand), but depending on the choreography of your routines you may have different needs. 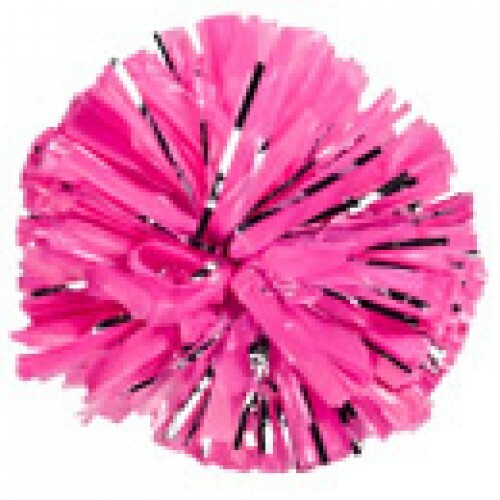 Cheerleading pom pons come in a variety of shapes, styles, colors, color combinations, and sizes. 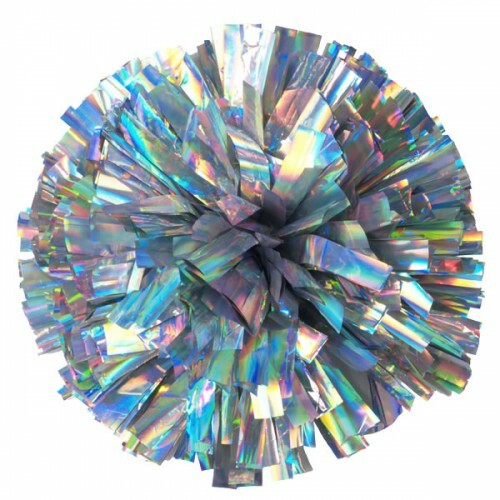 Shiny metallic poms have become very popular in recent years as well as glittery holographic poms and zebra print poms! 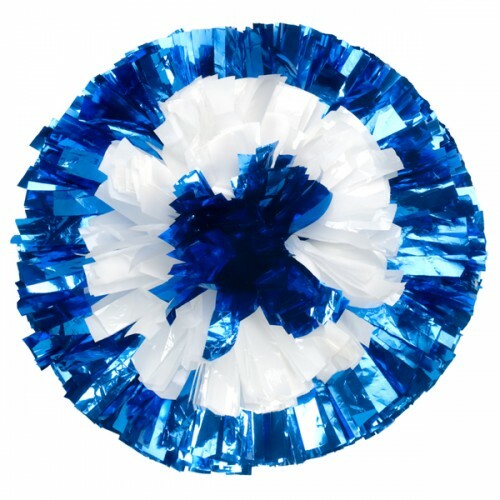 Cheerleaders use pom-pons at sports events for five main reasons: To attract the attention of the spectators; to accentuate movements; to add flair to a cheer, chant, or dance routine; to distract the opposing team; and to spell out team's name or other words for motivation. Pom-pons can also be waved by fans in the stands at high school or college games. 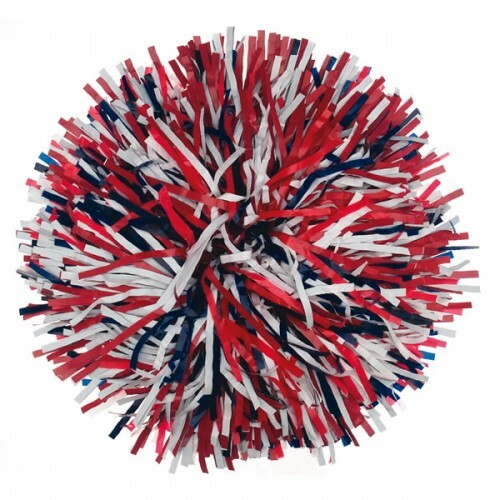 Pom balls or rooter poms would be great to give to fans to cheer on their teams or to sell as a fundraiser. Many schools and universities have dance teams in addition to their cheerleading groups. 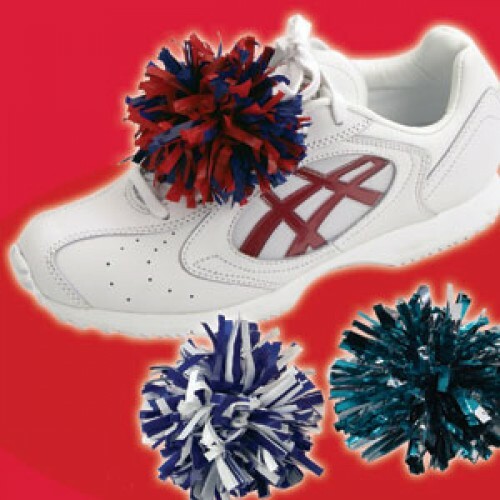 The dance teams may also use pom pons occasionally in their routines. 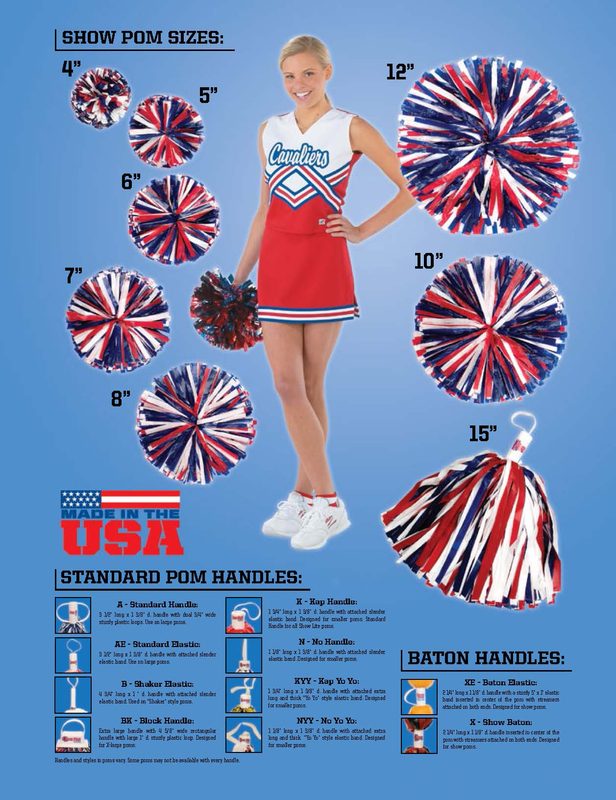 Traditional cheerleading poms have a fuller, puffier, round look with a hidden baton-style handle in the center. 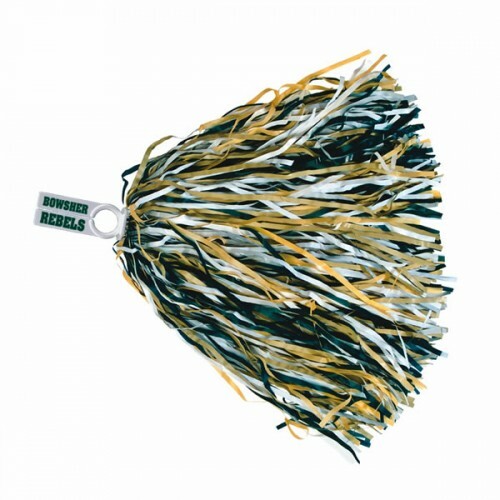 Rooter poms are more common in the stands and have thinner, longer streamer and feature an exposed handle so fans can wave them and promote spirit as well as distract the other team. Some pom designs can even feature a side-by-side color split, a bulls-eye, or targer color design. Cheer Etc has many differet options for combinations of colors, mixing marterials, handles and length of streamers – the possibilities are truly so many it is impossible to list them all. If you do not see what you are wanting, just give us a call and we can help you design the perfect pom for your cheerleaders. 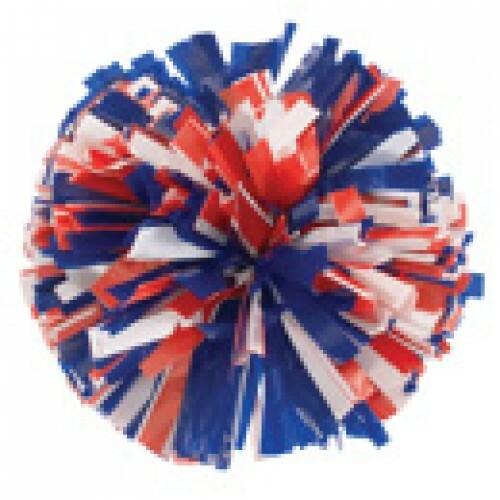 Pom poms are also known as pompoms, poms, pom pons, and pompons. All the spellings ending in ‘n’ are the official names; while the spellings ending in "m" are the more popular variations.